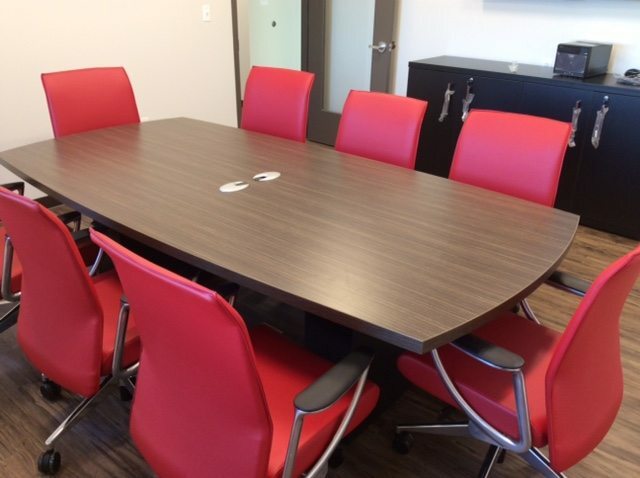 We have conference room furnishings to fit many tastes and budgets. 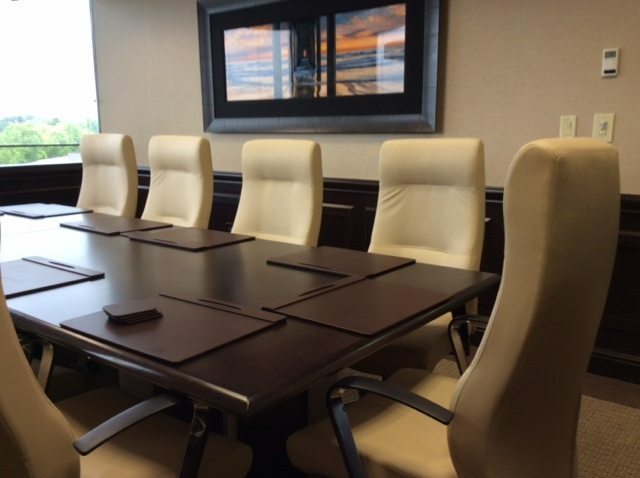 Conference and board rooms should be designed with comfort, style and durability in mind. 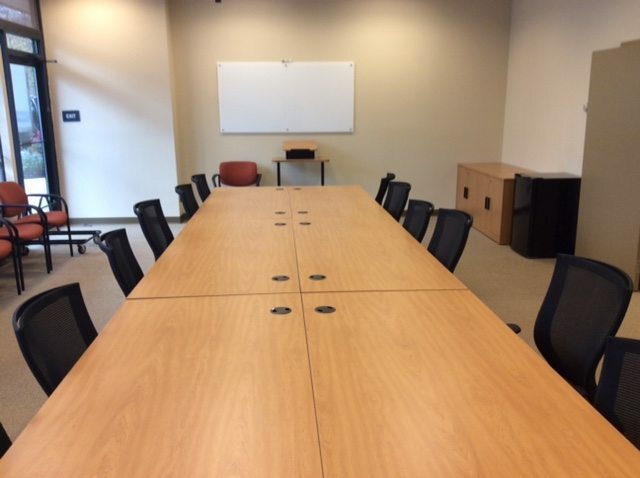 At 1 Source, we help clients go from concept to completion when planning meeting spaces. 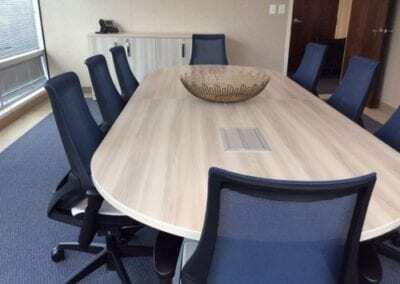 From a design standpoint, boardrooms are moving away from traditional wood furniture to more contemporary style colors and finishes. Our conference tables are tech-ready with pop-up ports for data. 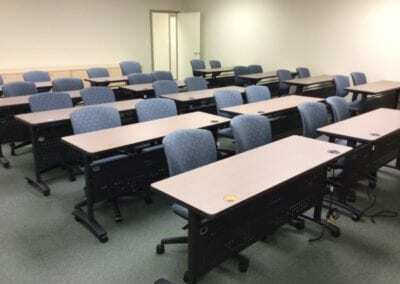 1 Source Office Furniture also sells training room tables, including many with stow-and-go capabilities so that clients can quickly move them into storage, and options for ganging tables into different configurations for varied functions. Give us your ideas and we will create the conference room that looks and functions beautifully for years to come. 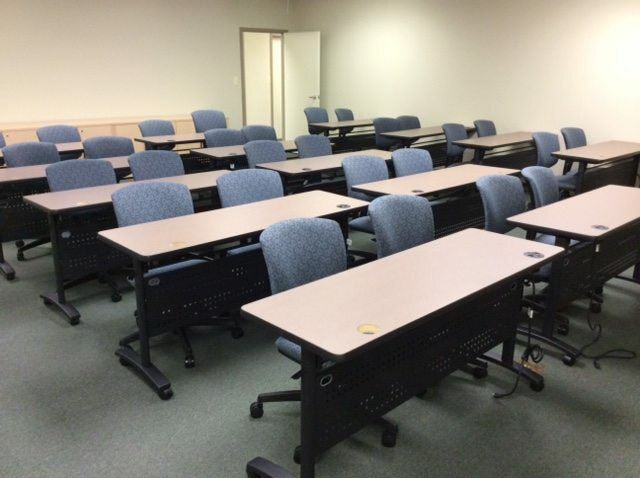 Increase your presentation power with Clarus Glass boards for dry-erase. 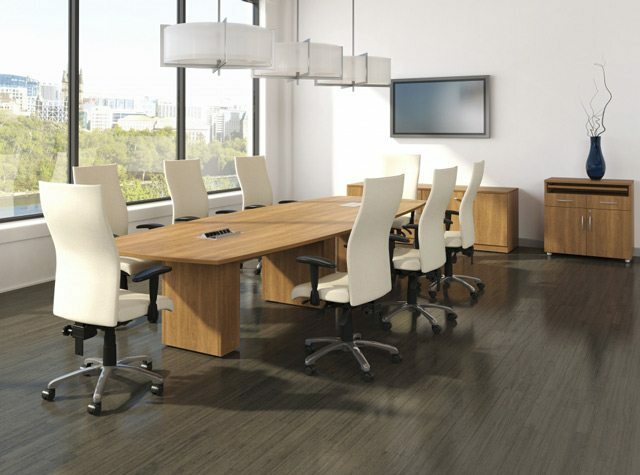 This product makes a true architectural statement in boardrooms (and lobbies) and is customizable to clients’ room dimensions and corporate colors. There are two main options: Wall mount or a roll-anywhere board on casters. With industry awards from interior design magazines and named best product at the NEOCON industry show, Clarus sets a high standard in product design and the operation of their company.